This is a comparison of the research done by Sandra Parsick. 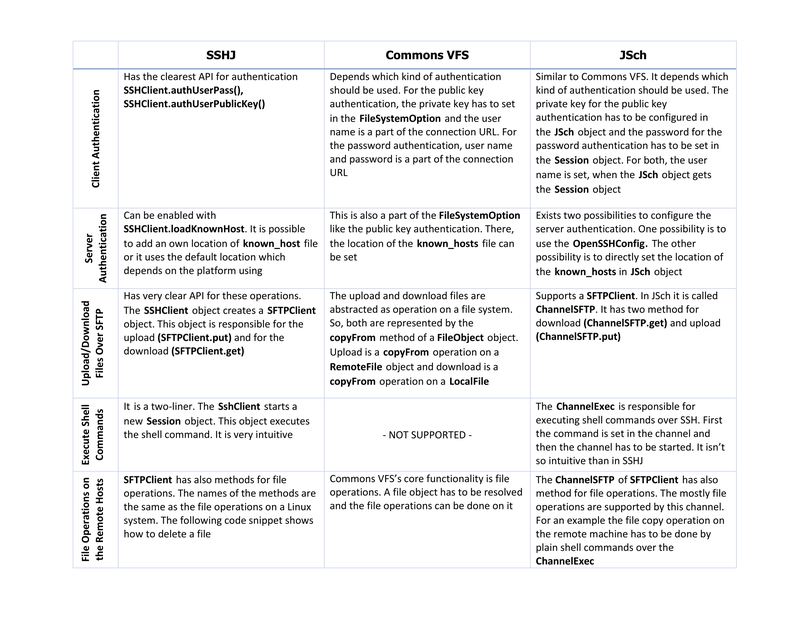 This analyze a deeper comparison of SSHJ, Apache’s Commons VFS and JSch libraries for SFTP support. JSch seems to be the de-facto standard for Java. SSHJ is a newer library. Its goal is to have a clear Java API for SSH. The goal of Commons VFS is to have a clear API for virtual file systems and SFTP is one of the supported protocol. But under the hood it uses JSch for the SFTP protocol.